What do we need then, in the way of fishing tackle, to catch the Scottish sea trout, that mysterious migrant that comes in from the sea to spawn each year, foregoing food while in our rivers? In some ways, the sea trout is like both the salmon and the trout, in others, like neither. 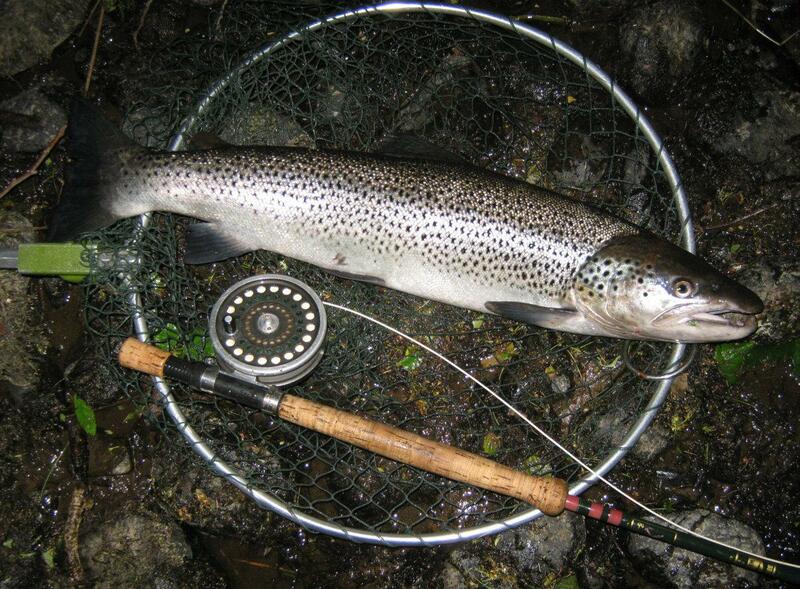 A difficult fish to lure during the light of a summer's day, in all but spate conditions, the sea trout will sometimes play the angler's game under the cover of darkness. The sea trout fisher must then be, like the sea trout, a nocturnal creature, venturing out at dusk and fishing through the wee sma' oors of the night on a river running at or near summer low level, often shrunken by summer drought. So what then do we need in the way of sea trout fishing tackle. The sea trout fisher's choice of rod will again depend on the nature of his river, for, with the notable exception of our famous sea trout lochs such as Maree, Stack, More, Hope, Shiel, Eilt and Lomond, it is mainly in the river that we hunt the sea trout. Sea trout run most of our rivers here in Scotland, from the largest to the smallest, so our choice of tackle must suit the circumstance. 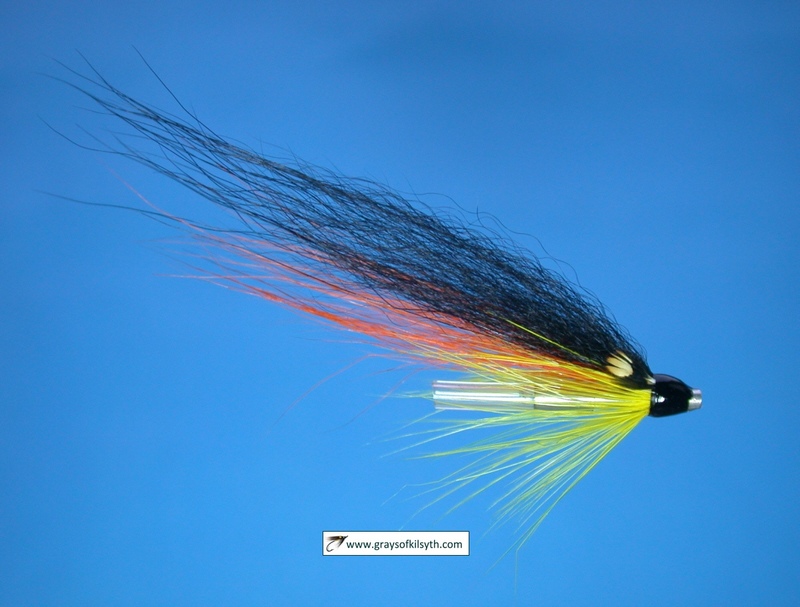 On a small river, a rod as short as nine feet might be enough, but in general, on medium and large rivers, even with the river at summer low, a better choice would be a rod of ten or ten and a half feet, capable of handling large flies on a number seven or eight line. I have always liked a rod with a through action and have used for many years a rod built on a ten and a half feet Bruce and Walker Multitrout rod blank, rated 6/7. 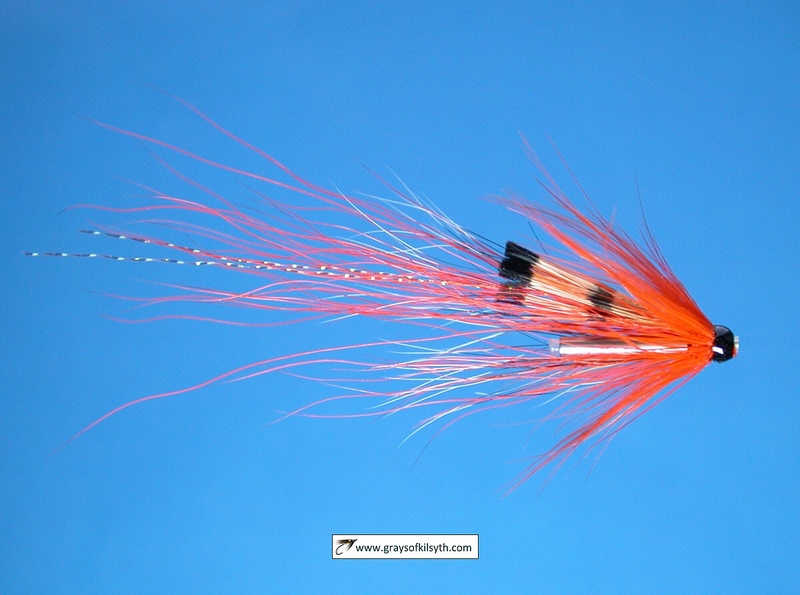 This rod will comfortably cast any size of fly on a number seven or eight double tapered line. I would say that an ideal all round sea trout rod for night fishing on Scottish rivers would be a through actioned ten foot rod paired with a double tapered number seven line. 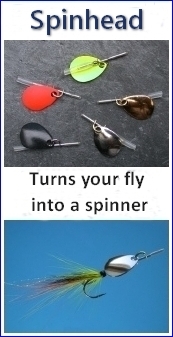 The main requirement of a sea trout reel is that it will hold a number eight floating line (double tapered or weight forward) and a hundred yards of backing line. Such a reel is likely to have a diameter of about three and three quarter inches and a spool width of about one inch. 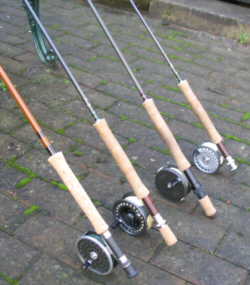 Excellent examples of such a sea trout reel are to be found in the Hardy Marquis #10 and the Hardy St Aidan or, if you can find one, a Hardy St John Mk 2 (or Mk 1 if you wind with the right hand). The J W Young's 1530 is also very good (or Daiwa 809 or Shakespeare Beaulite in the same size) . 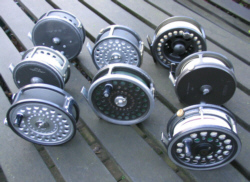 To enable the faster retrieval of line, many experienced sea trout fishers prefer a geared "Multiplier" reel, such as the Hardy Marquis 8/9 multiplier or the Young's 1500 series multiplier or Shakespeare Speedex reel, all excellent sea trout reels with diameters of about three and a half inches and with enough capacity to hold a number eight line. Another reel worthy of consideration might include the Sharpes Mentieth, which can be used in silent mode, always useful for those who prefer the quiet approach. Most keen sea trout fishers will be familiar with Hugh Falkus's recommendation of having a variety of line densities for varying conditions and times, a floating line for early in the night, particularly in low water conditions, with the option of additional lines with different sinking rates for high water or when the sea trout have "gone down" late in the night. Requirements will vary depending on the river but, on the rivers I have fished, I would say that about eighty percent of my fishing is done with a floating line, a double tapered line in size seven or eight. An intermediate line or line with a sink tip is useful when the river is running slightly high or for later in the night when temperatures fall. I rarely use a full sinker, although I acknowledge that this omission may, on occasion, cost me the chance of a fish. 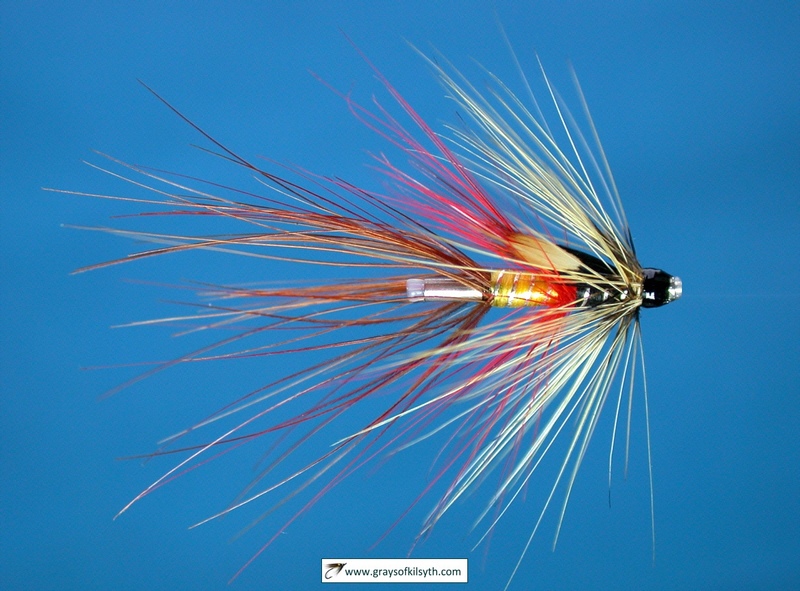 In general, I will feel fairly well equipped if I arrive on a sea trout river with a floating line and an intermediate line, plus a few sink tips in a variety of lengths and densities, cut from a few mill end lines.